A 27-year-old Indian man is going viral after he announced an intent to sue his parents, claiming he didn't give his explicit consent to bring him into the world. Raphael Samuel, donning a fake beard and sunglasses, said in a YouTube video posted on Tuesday that he is suing his parents because he was conceived without his consent and therefore his parents should pay for his life. "I want everyone in India and the world to realize one thing that they are born without their consent. I want them to understand that they do not owe their parents anything," he said. "If we are born without our consent, we should be maintained for our life. We should be paid by our parents to live." "To children, I would like to say: do not do anything for your parents if you do not want to. If you want to, if you truly genuinely feel like doing it, do it," he added. Samuel has been reported as a follower of antinatalism, an increasingly popular yet bizarre ideology that believes that it's morally wrong for people to procreate and takes a nihilistic approach towards human life, saying the humanity brings only suffering. Maybe the mother should move to NY. They allow abortions after birth . This 27 year old male would make a good test case for them. This feels like the stable genius at Fox ate the Onion. I have to say, the guy has a point. A point straight out of an M.C. 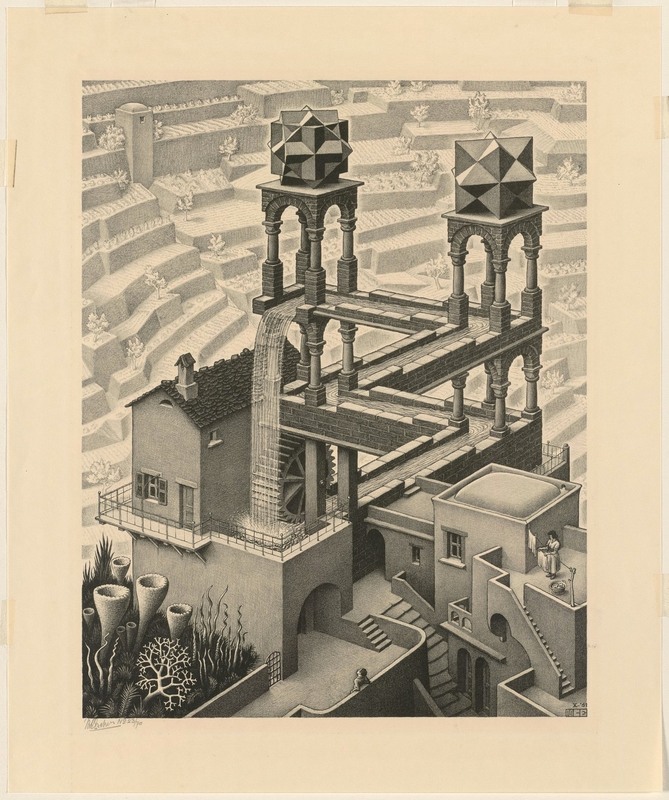 Escher painting ( kottke.org ), but a point nonetheless. As a parent and a grandparent I think I'm going to sue my parents. Maybe I'll sue God. Leave Rcade alone! You and only you are responsible for the stupid stuff you post here. I get that, but the whole premise just seems like it'd be straight out of the Onion. Of course, we're in the Twilight Zone now, so I should expect reality to mirror satire. I have to say, the guy has a point. "If we are born without our consent, we should be maintained for our life. We should be paid by our parents to live." I read here that he was, in fact, a person in the womb. Why didn't they ask him if it was cool to go through with it or abort him? Should the parents have asked asked the "person" if they wanted to be born and aborted it if it said no or is a fetus not a person? Clearly, his (future) legal guardians gave permission on his behalf. But can you successfully sue your own legal guardians for bad decisions? Probably. But can you prove it was a bad decision? Maybe: we're all going to have bad times and eventually die in probably a painful way, and suicide is painful too. I read somewhere that just before you're reincarnated you actually choose the parents you want to be born unto.